Congratulations to the winners of the 2013-14 Bessie B. Moore awards! 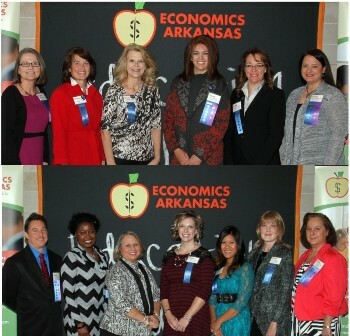 They were honored during a gala luncheon on Nov. 13, 2014, at the Clinton Library Great Hall. Photos can be viewed here. Keynote speaker Michelle Hargis Wolfe, vice president of human resources, Walmart, illustrated how excellent educators can inspire students to lead lives in pursuit of learning and setting goals.